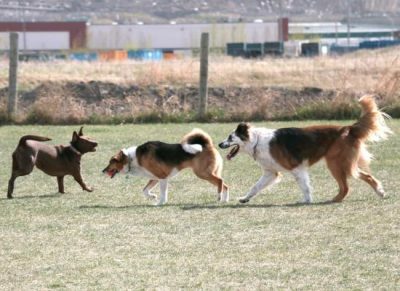 Central Bark Off-Leash Dog Park is a safe, monitored, gated area to play, have fun and socialize your dog. And, it’s Edmonton’s only gated members-only dog park! Approximately 3 acres in size, the park is surrounded by page-wire fencing and separated into two play areas: one for dogs who like to socialize and play with dogs all shapes and sizes and one for small dogs who aren’t comfortable playing with the larger dogs. A portion of your membership fee goes toward maintenance and improvements of the park. Planned improvements include planting additional trees to provide shade and protection from the rain and adding some fun obstacles. Membership applications can be submitted at the Canine Enrichment Centre Front Desk or Bingo’s Pet Shop. Donate today to help care for an animal.